The first dish Kristine and I cooked was Pancit Bihon. 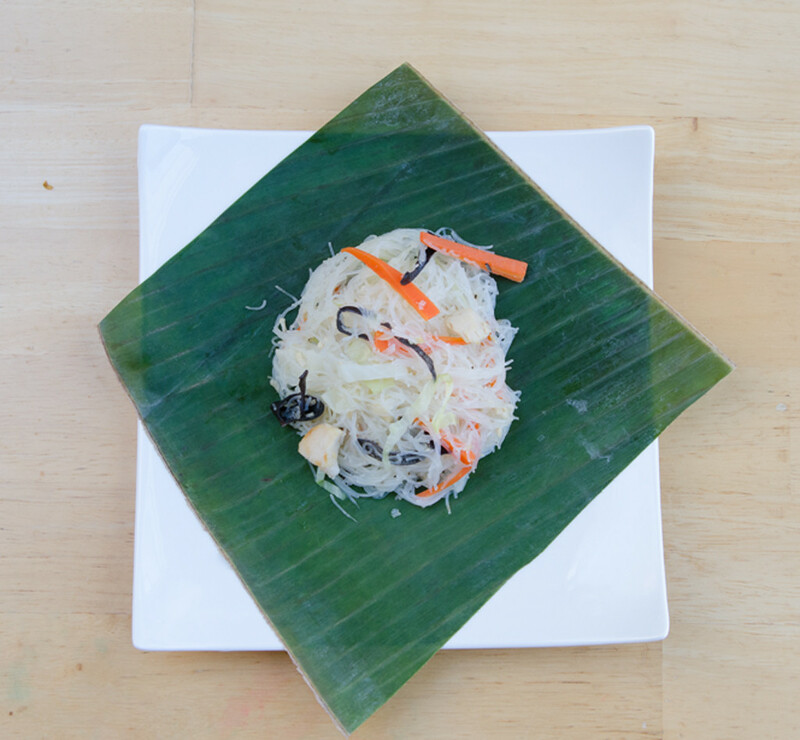 It is a traditonal Filipino noodle dish that uses rice noodles and wood ear mushrooms. In my opinion the mushrooms are what make this dish. They are chewy and have an earthy flavor that compliments the noodles and other vegetables. This dish is also rather light. 1/2 cup of dehydrated wood ear mushroom. 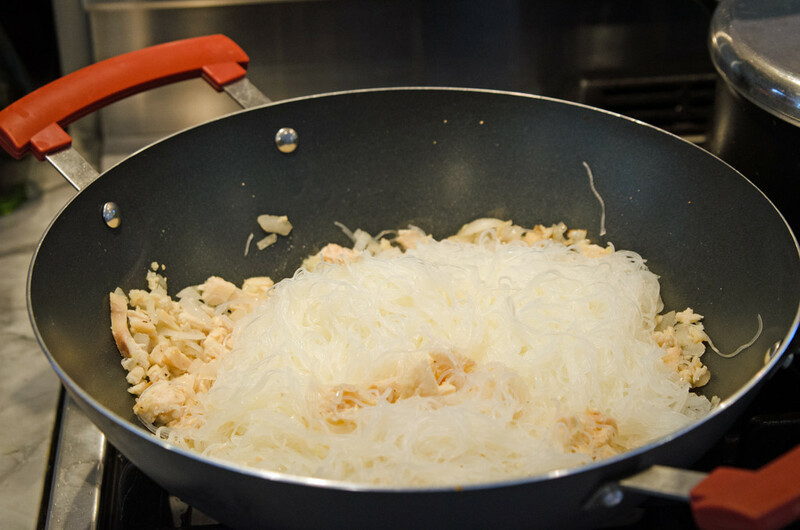 Soak noodles in water to re-hydrate (about 10 minutes) and drain. Soak mushroom in water (about 10 minutes) go re-hydrate. Julienne after rehydrating. In a hot pan on medium heat oil. 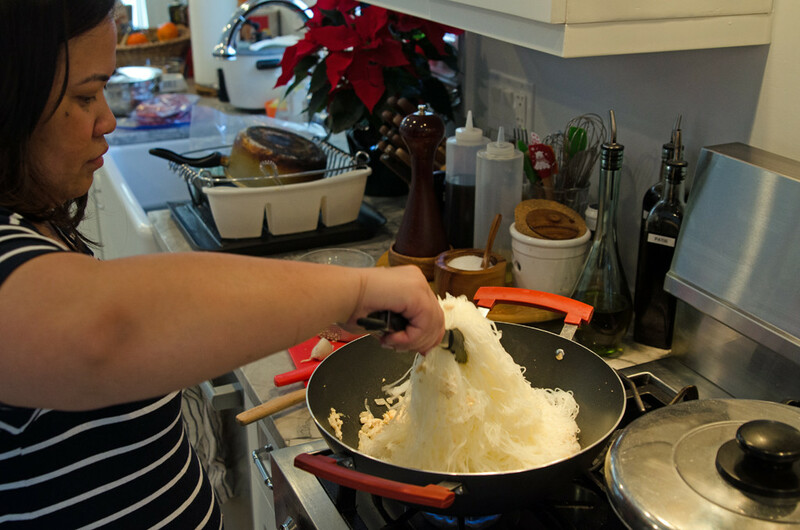 Sauté garlic and onion for 3-4 minutes or until onions begin to soften. Season with salt and pepper. Add chicken and cook for 2-3 minutes. Add 1 cup of water. Add chicken bullion cubes and simmer for a 2-3 minutes, stiring to dissolve bullion. Add the noodles and soy sauce, mix with tongs. Cook for 2-3 minutes. Add vegetables, mix with tongs and cook for 5 minutes or until carrots and al dente. Squeeze lemon juice on noodles and mix. 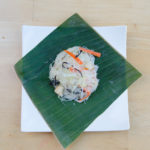 You can serve noodles topped with fried garlic and sliced green onions (scallions). Original recipe credit to Kristine Carlos Lewis. 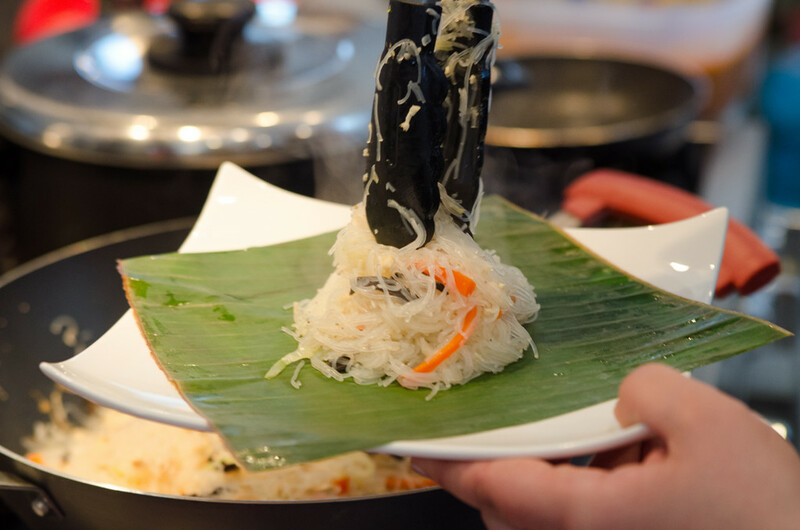 Use a wok if you have one to make this dish. Use Wood Ear Mushrooms. They can be bought online or in speciality stores. Use tongs to stir the noodles. 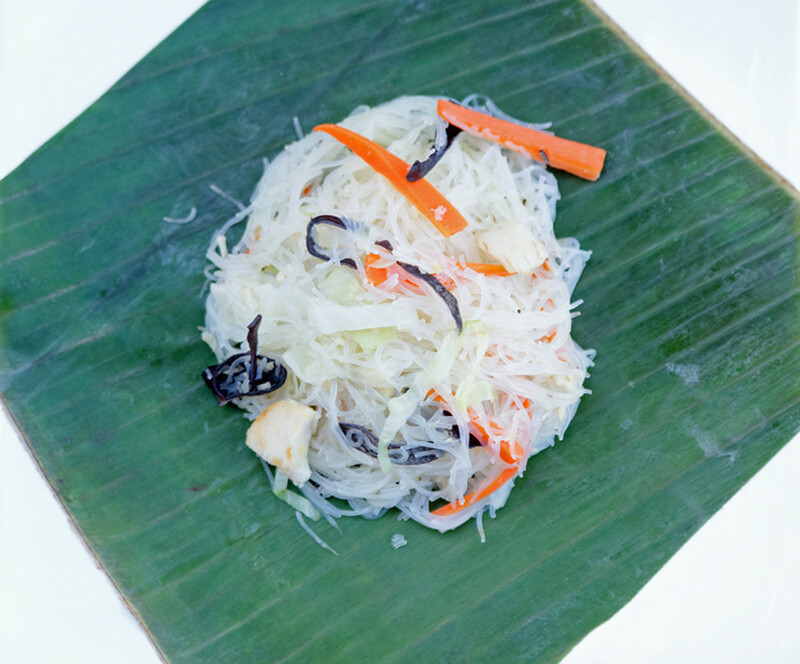 For a beautiful presentation, serve noodles on a banana leaf. A Well Fed Life chronicles my life philosophy of feeding life each day with healthy food, an active lifestyle and little indulgences.